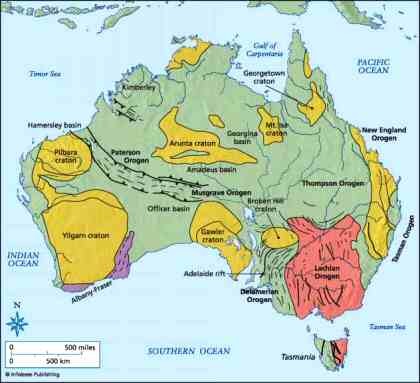 As recently as 1,400 million years back an inland sea separated SA and WA. It made volcanic mountains by subduction. Erosion later created the continental land mass we know today. It is not just a slumbering giant. Much activity has gone into its formation.